Most satyrs are known for their wild and rather hedonistic behavior. Tatharo, though, is a little different. 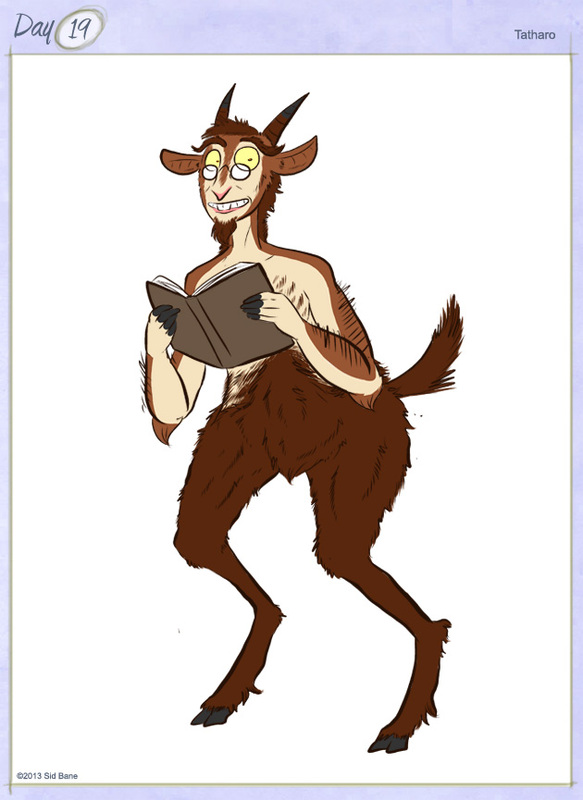 He’s a quiet, bookish type of satyr who would rather spend his weekends at the library rather then go out drinking with the other members of his herd. Tatharo looks super excited about that book. Definitely looks like an interesting character, nice job!